UNSW Australia-led researchers have discovered a way to produce a tenfold increase in the amount of methane gas emitted by naturally occurring microbes living in coal seams and on food waste. The innovation could benefit the environment by extending the lifespan of coal seam gas wells, as well as improving the economics of using woody crops and left-over food as commercial sources of biogas. 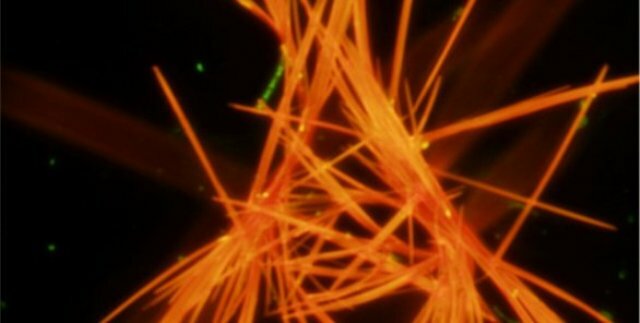 The technique involves the addition of small amounts of a synthetic dye that forms previously unobserved needle-like crystals to help the methane-producing microbes grow faster. “It’s simple. If the microbes grow faster, they fart more methane,” says study senior author UNSW Associate Professor Mike Manefield. Biogas emitted by microbes will be vital for meeting the world’s future energy needs and helping reduce greenhouse gas emissions from the burning of other fossil fuels, Associate Professor Manefield says. “Our research in the lab and in coal boreholes near Lithgow has shown that the crystals can lead to a massive leap in methane production – a tenfold increase from coal, and an 18-fold increase from food waste. The study, by an international team spear-headed by UNSW’s Dr Sabrina Beckmann, is published in the journal Energy and Environmental Science. The five-year-long research project was supported by the Australian Research Council and industry partner Biogas Energy. The researchers studied a small synthetic molecule called neutral red that has been used for more than 150 years as a textile dye, or for staining cells under a microscope. “We knew it was able to shuttle electrons about and we wondered if it could deliver them directly to the microbes that produce methane. Usually these ancient critters get electrons from hydrogen gas,” says Associate Professor Manefield. “When we added neutral red in the laboratory to a mixture of coal and naturally occurring groundwater microbes, in the absence of oxygen, we discovered it formed crystals that had never been seen before. The patented technology was also tested in a real-life environment in coal boreholes near Lithgow. Small amounts of neutral red were injected 80 metres underground at three sites into the water-saturated coal seam. A fivefold to tenfold increase in methane production was observed during a 12-month period. “Coal seam gas wells usually have a short lifespan and spent ones litter the countryside. Enhancing their methane production could reduce the need to build new ones,” Associate Professor Manefield says.